So, once again, I have been a rubbish blogger. But at least this time I have a decent excuse. For the last nine months I have been cooking a little human, and on the 11 July (two weeks early) we finally got to meet her. Baby Gabriella and myself both had a few hiccups during the birth and recovery but I am happy to say that we are both on the mend now and finally home. One of my biggest concerns during the pregnancy was how I would cope with giving birth in a Hungarian state hospital, especially with a language barrier. But after being in hospital for 10 days, a fairly traumatic birth and a poorly baby, all I can say is “wow”. The doctors, nurses and midwives were caring, patient and so professional. I found each and every one of them treated me like visiting royalty, and even allowed Gareth to stay with me for the the whole 56 hour labour ( men are not normally allowed in birthing room till baby is basically crowning!). I honestly don’t know if I would have had such great care if I had chosen to give birth in another country! Yes, the hospital and wards are old and in need of a paint job, and it is a bit over crowded when you go into the communal wards, but they run it well and thoroughly. No visitors are allowed either which means that the mums can at least try to get some rest in those first few days. I wouldn’t recommend giving birth to anyone, but if you did, you can’t go wrong with Kaposvar hospital. We are slowly getting into a routine now that we are home, and its definitely tiring, but we are so lucky that both Gareth and I can be involved full time. And to top it all off, Gareth finished the room just in time so we have a lovely peaceful space for baby. We are both so in love with her and couldn’t be happier right now!! Hooray! Our baby won’t have to sleep in the kitchen! 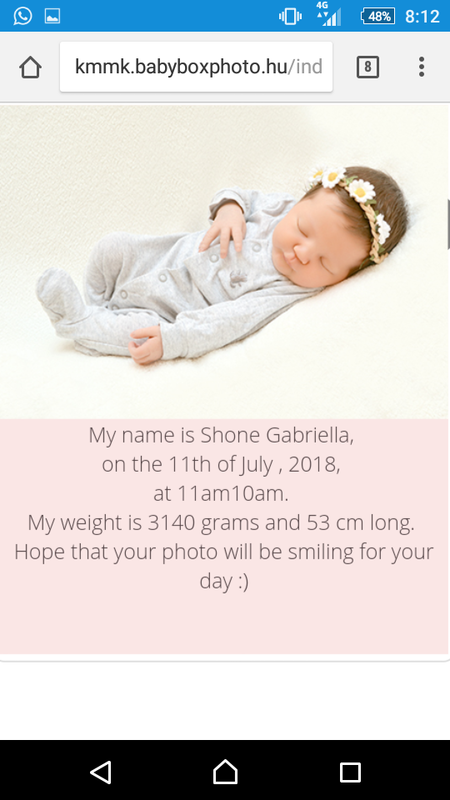 HI JULIA AND GARETH, THIS IS SYLVIA AND JOE’S DAUGHTER IN ENGLAND AND I HAVE MUM SITTING HERE AND SHE HAS FALLEN IN LOVE WITH BABY GABRIELLA. SHE IS VERY IMPRESSED WITH YOUR WEBSITE AND YOUR ACCOUNT OF YOUR TIME IN KAPOSVAR HOSPITAL. HOPE YOU ARE BOTH WELL, I DID SEE THE BEN FOGLE DOCUMENTARIES LAST YEAR AND THINK WHAT YOU TWO HAVE DONE IS GREAT. MUM SENDS HER LOVE, MUST GO AS NEED TO GET HER TO THE AIRPORT FOR 7.00AM IN THE MORNING.